Saarloos are a Dublin band consisting of acclaimed songwriters Craig Gallagher and Brian McGovern (former Fallen Drakes). 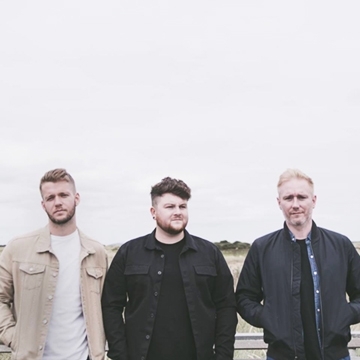 Saarloos just released their Debut single “Changes” which has received strong radio support in Ireland as well as reaching over 1 million streams on Spotify, making them the most streamed Irish Band of in 2018. Since Changes, the band have released singles Be Alright, Alive and most recently in early 2019, Fire Is Love. Saarloos have shared the stage with Gavin James across his sold out European tour this summer and just played Electric Picnic’s - Cosby Stage! They are now getting ready for their own Irish, UK and Dutch tour starting this November.